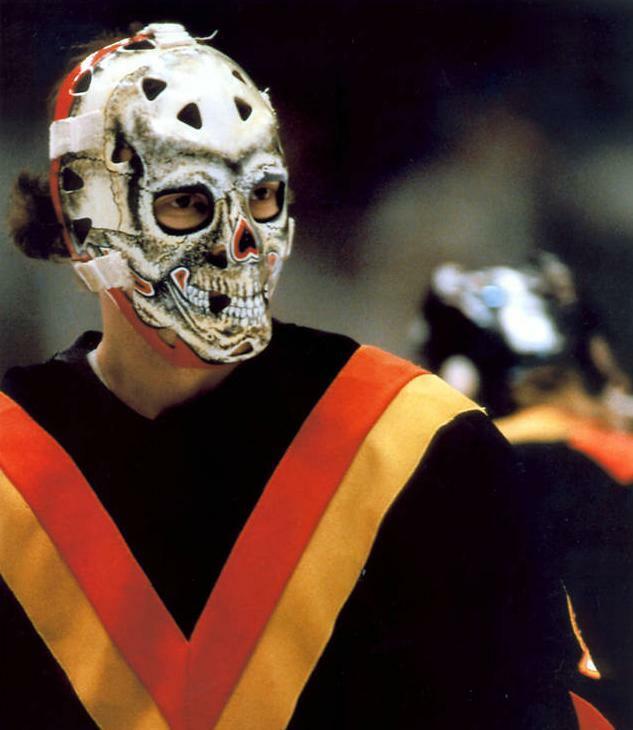 There was a time when choosing Schneider over Luongo was a divisive matter. Perhaps no longer. You knew this was always coming. You, like GM Mike Gillis, avoided thinking about it all year, but it became the white elephant in the room, swelling larger every day until now. Now, when it is about to burst. It has to. It’s the only way this ends. I’m talking, of course, about the Roberto Luongo and Corey Schneider situation. 1. What has happened to Roberto Luongo? Watch the video. In it, there are three things which are notable. The first thing to note is that this was the season Luongo strung together nearly 3 straight hours of shutout hockey. Secondly, the announcer explains that Luongo is “one of the guys who would be a candidate for MVP of the league” as he is helped off the ice by Kesler and Pyatt towards the end of the video. Lastly, and perhaps most importantly, at 0:26 of the video the announcer cryptically states: “I think we’ve seen the end of Luongo here”. Since the injury, Luongo’s ability to push off to his paddle side has been weakened, creating more net space for shooters. Since this injury, Luongo has never been the same laterally and his adjustment to a more positional goalie has robbed him of his number one asset as a younger backstop — his athleticism. No one talks about it, but Luongo has quietly eroded over time to the point we’re at now, where he has to flop forwards to slide from one post to the other. He is exposed on this play at least once per game now, despite his occasional brilliant reflexes. 2. Can the Canucks keep both goalies? No. The time has come when the Canucks must make a decision with the goaltending tandem of Roberto Luongo and Corey Schneider. Either the team banks on Luongo playing better with more games and a career backup behind him, or they trust in the younger legs of Corey Schneider to carry the full load, and explore the trade options for Roberto Luongo. Signing Corey, one would think, would depend heavily on whether or not his agent believes he will start for the Canucks, while trading Luongo will require the team to check with Roberto for his final approval on the destination. Keeping both, it seems, causes team division in style of play. The time has come to recognize that the two goalies, despite their friendship, cannot coexist on the Canucks any longer. 3. What options to the Canucks have with Schneider? Keeping Schneider and trading Luongo has been talked about a lot in Vancouver, but the young goalie is still unproven at the NHL level. Even before the Canucks trade Schneider and keep Luongo, one of three things can occur. The Canucks must decide whether or not to sign-and-trade Schneider, wait for Schneider to be signed by another club then match or accept compensation, or trade his signing rights to another team. In the first case, the Canucks deliver a contract to Schneider, which would likely mean that the team is keeping the young goalie for future use on the team as a number one goaltending option. In this scenario, the Canucks are banking on potential rather than on results, for Schneider is largely unproven at the NHL level. In the second scenario, one which I’ve already alluded to with regards to the Leafs, Schneider’s offer sheet can be matched, but if a team wanted to be really mean, they could include such stipulations as no-trade clauses, or extortionate front-loading to complicate matters for GM Gillis. He doesn’t want this to happen. In the third scenario, the team gives up the rights to sign Corey Schneider to another team. This possibility will yield the least amount of value in return for the young goalie, and the Canucks are likely to do this only as a last resort. 4. What options do the Canucks have with Roberto Luongo? No matter how poorly the Canucks play in front of him, Canucks bandwagon fans always find ways to blame the goalie. Luongo’s situation is simple. Either the team keeps the veteran goalie and trades Schneider, or they ask him to submit a short list of teams to which he’d be willing to accept a trade and keep Schneider instead (after he signs a contract with the team, ostensibly). In the first scenario, the Canucks keep Luongo and trade Schneider, presumably. This means that the team keeps a world champion, Olympic gold medalist, runner-up for the Vezina, all-star and Stanley Cup finalist caliber goaltender in his prime, and trades a goalie whose value has never been higher, despite never winning more than one career playoff game, or starting a full season for an NHL team. Trading Luongo, when you really think about it, sounds like sheer folly. Schneider is not impenetrable. Poor stick handling and an early butterfly leaves a couple of holes for shooters to expose already. In the second scenario, the Canucks trade away the aforementioned Luongo for a very low yield, and hopes that Schneider’s promise holds true when professional NHL scouts devote all the hours they previously enjoyed breaking down Luongo’s game for their shooters to analyzing, scrutinizing and deconstructing Corey Schneider’s game. I can already tell you that the Kings found a spot high on the blocker side that looked a little suspect, and Corey has trouble handling long shoot-ins on net, often giving up fat rebounds in the middle of the slot. In addition, if you became paranoid about Luongo’s stick handling, wait til you get a load of Schneider’s shaky stick handling all season long. 5. What will be the likeliest scenario involving the Canucks’ goalies this off-season? All that’s missing for Roberto Luongo is the Stanley Cup in his grasp. How will Canucks fans feel if he wins it with another team? After the playoffs, Luongo seemed to indicate that he was open to helping the team out in whatever manner possible. Reports then circulated about a list which Luongo gave to management regarding his possible destinations. Additionally, there have been rumours of Luongo “working out” with the Maple Leafs, in total and complete contradiction to league policy for players under contract. By all accounts, Luongo is sitting in the Maple Leafs’ players’ lounge right now, tweeting as Strombone1 while watching the Euro Cup. Luongo is Gillis’s contract. For whatever it’s worth, he made this goalie a rich man for a long time, even naming him captain of the team at some point. Both goalies have shown professionalism throughout the process, but Gillis’s main asset is not a veteran goalie who has another 5 or 6 years of good hockey left, but rather, a young prospect who may… or may not… be the best young goalie in the league. Scheider’s worth as a trading chip might fetch a better player in return who could help the Canucks more than a mediocre player in return for Luongo. For some reason I feel that Luongo amounts to more to the Canucks success than the team is letting on. I have a funny feeling about this one. I think Gillis is going to trade Schneider, and build a 4-year window around the Sedins, Kesler and Luongo again by trading for a high end player in return for his biggest asset — Corey Schneider. After he acquires a first-line forward for the blue-chip goalie, Gillis will further load the team with a free agent or two who can bolster the lines, and shoot for another division championship and Stanley Cup. Fans can blame Luongo all they want, but the team’s success at acquiring overall depth will be better if Gillis acquires a superstar level of player for the unproven Schneider, than yet another mediocre player for a world-class goaltender in Luongo. Having options is always nice, and with Eddie Lack on the farm waiting to come aboard the Canucks train, things in Vancouver look pretty good at their only completely filled position. Glass is half full here in the Goalie department, but for how long?